Many online casinos try out new approaches to appeal their intending players. Indeed, with the level of competition, you have to be very appealing to get the attention of players. Likewise, Jonny Jackpot has adopted a very similar approach. First, the name ‘Jonny Jackpot’ is sure going to get your attention. Far beyond that lie several other interesting features about Jonny Jackpot. Firstly, I guess you are expecting to see ‘Jonny’. As expected, Jonny is right there waiting for you to arrive. Notice that the first thing that he does is to draw your attention to the banner displaying the massive welcome bonus. You certainly do not want to miss that offer. Before we go into details about what you would like to know about, it is important also to let you know that Jonny Jackpot is a brand from White Hat Gaming. That’s a big plus already. Don’t miss out on any new brands. Keep track in our daily updated 2019 guide. Well, we are hoping that you would not have any issues with Jonny because he is a nice guy. However, these things do happen. 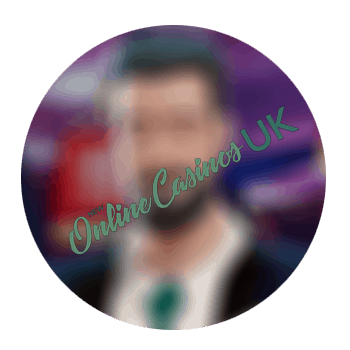 So, to get your mind at ease, just like every other platform that is managed by White Hat Gaming, Jonny Jackpot has a dual license from the MGA and the UK Gambling Commission. These two always go together. Similarly, they are two of the most excellent regulators in the gambling world. So, whether you are playing from the listed European countries from the UK, you’ve got your insurance covered. While the MGA handles disputes by themselves, the UKGC does not. Hence, UK players will have their complaints dealt with by eCOGRA. In the end, Jonny Jackpot is a safe and fair place to play. To many casino lovers, they don’t joke with the welcome offer, especially for a new online casino. Likewise, Jonny Jackpot is fully aware that they need something good enough to get the attention of players. Indeed, it is not enough to have great games and good design alone. So, Jonny Jackpot offers a onetime welcome package. Lately, many online casinos opt for the tie-bonus system. That way, players have to keep making deposits to enjoy the welcome bonus. However, if you miss out on this welcome package then its goodbye. Until now, Jonny Jackpot offers new players a massive double of their first deposit. So, when you deposit £1000, you will receive another £1000. Thus, you will receive £2000 in your account. Also, there is a little icing on the cake. Jonny Jackpot also includes a whopping 100 extra spins on the top-rated slot machine Starburst. Looking for more similar bonuses? Find all of them in our new free spins guide. Jonny Jackpot will only offer its bonuses and promotions to one person; computer per household. All bonuses have a playthrough requirement of 35 times. This includes the deposit and bonus amount. The minimum deposit amount that is required to activate the different promotions varies so you should also take note of that. All bonuses and extra spins have a validity period of 30 days. Afterwards, it will be removed. Only the games listed shall contribute to the wagering requirements as stated. The selection of games at Jonny Jackpot is just extraordinary. Certainly, there are no words to describe it. If you crave quantity and variety, it’s all there. How about quality? Jonny Jackpot teams up with more than 30 software providers to put together a massive library of quality games. Many of the software providers do not sound familiar. However, there are lots of familiar names as well that you’d surely love. NetEnt; Microgaming; Red Tiger; Yggdrasil; Microgaming; Evolution Gaming; NextGen; 1X2 Gaming; NYX Gaming; RabCat; Play’s Go etc. makes the list of the providers. So, you’re inevitably going to enjoy a selection of games in such categories as jackpots; slots; scratch cards; live casino games and many more. The payment system at Jonny Jackpot is not any different. Jonny Jackpot uses both cards; bank transfer and electronic means for making payments. So, they put together more than 20 different payment methods. If you are a VIP player, the payment is speedy. However, the general payout speed is still fair and conventional. With a support team that is available round the clock, seven days a week, never shy away from asking those questions that could affect your gaming experience. Meanwhile, everything seems ok as Jonny is always there to ensure that you enjoy every moment.